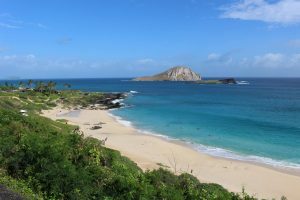 Hawaii home buyers have some exciting new mortgage financing options available in 2019. Both Conventional and Jumbo loan limits have expanded this year to allow for borrowers the ability to qualify. Buyers can pick from an assortment of fix rate and adjustable terms with low down payments, in some cases up to 95% financing. Lenders and banks view mortgages as “Jumbo” when they exceed the standard conforming loan limit All of Hawaii, including Honolulu, Hilo, Pearl City is considered higher cost locations, therefore the conforming mortgage limit is much greater compared to most locations in the U.S. Please see the chart below, please connect with us anytime with questions, or to learn how to apply. Buyers can call the number above, or simply submit the Request Contact Form at the top of this page. Programs are available for primary and vacations homes, up to 95% financing. Each program has minimum credit standards and max loan limits depending on buyers down payment amount. Let’s review below. Buyers should have a minimum 680 credit score to be eligible. Loan amount greater than $1.25mil will require a 740 credit score. Variety of fix interest rate and ARM terms available – all with no mortgage insurance. Programs available for owner-occupied and second homes. Single-family homes, townhomes and condominiums. Buyers should have a minimum 680 credit score to be eligible. Loan amount greater than $2.0mil will require a 740 credit score. Many other 15% and 20% options available for borrowers with lower credit scores, or greater loan amounts. All Jumbo loan programs require the applicant’s to fully document income and assets, just the same as normal Conventional Loans. Mortgage payment reserves are required for all Jumbo loans. The number of reserves will vary based on Fico scores, downpayment, loan amount, etc. Please read more details on the Jumbo Loan Page. Interest rate reductions refinance and cash-out refinance jumbo programs are available for Hawaii residents. Please read the latest requirements on the Jumbo loan page above. Please contact us 7 days a week to learn more or to discuss your options in details.